The Internet is littered with salary tools – and most of them are pretty bad. Salary tools are often too broad. 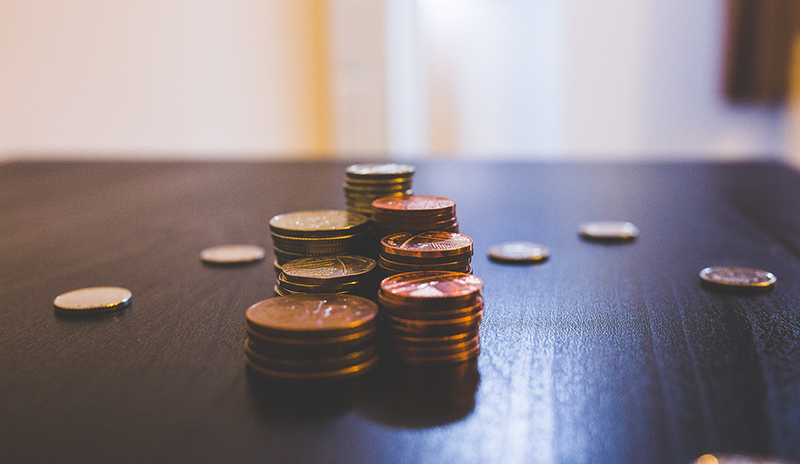 They can give you a general approximation of what someone in your role can earn, but many of them are woefully inept when it comes to accounting for additional complicating factors like years of experience, location, and industry. - 65 percent of respondents said they wish they had a better understanding of what they should be making. - 73 percent said they would negotiate their salaries if they knew there was a discrepancy. - 78 percent said they wish there were a tool that could easily tell them what they were worth. 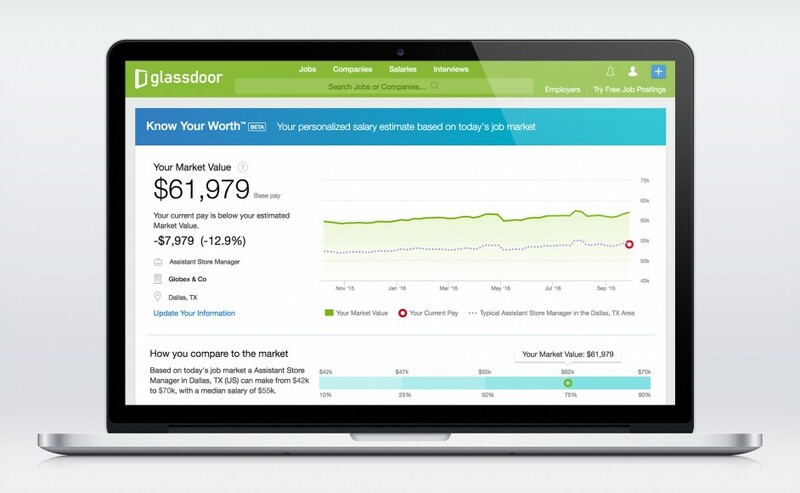 And so, Glassdoor made Know Your Worth, a personal salary estimator that uses a machine learning algorithm to help professionals find out just how much they’re worth in the market. It’s simple, really: You enter your employer’s name, your location, your title, years of experience, and base salary, and Glassdoor uses relevant salaries reported on Glassdoor and the salaries of open jobs in the market to calculate your market value. From there, you can see how you’re doing compared to similar professionals in the market and a list of open jobs that might interest you – you know, in case you find that you might be able to make more elsewhere. You also have the option to share information about your age, gender, and level of education. It’s not required, and it doesn’t factor into your market value, but Glassdoor hopes to collect user data on these fronts in order to explore potential wage discrepancies in the market at a macro level. In the future, Glassdoor also hopes to add even more factors to its algorithm, including non-salary forms of compensation – e.g., stock shares, perks, and the like. Another interesting thing about the tool is its “Salary Explorer” function, which allows you to tweak your title, location, experience, industry, and company size to see how these things might affect your salary. Perhaps you’re an employer worried that your employees are going to start pressuring you for infeasible raises, or you’re a recruiter concerned that your candidates are going to start blowing their job opportunities by waving Know Your Worth’s results in your clients’ faces. Holden understands your wariness. One limitation of the tool, Holden notes, is that it can’t take into account factors that Glassdoor can’t measure – factors like workplace flexibility, or the extra roles some people take on at work, or any of the other less tangible things that can impact compensation. “The message we want to share with employers and recruiters is that this is a tool that is intended to be helpful for conversations around salary,” Holden says. Of course, most employees and candidates will probably realize that, but in case you do run into one of those revved up professionals, just talk calmly with them about the realities of compensation at your organization. And let’s not forget that this can be a great tool for recruiters and employers, too. If you want to attract and retain the best talent, it pays to offer them the market rate – or above, if you can afford it.